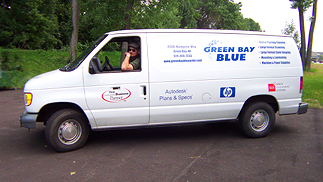 At Green Bay Blue we offer local pickup and delivery every morning and afternoon. Schedule a morning pickup or delivery before 9:00 am. Schedule an afternoon pickup or delivery before 1:00 pm.